When you start getting behind on your bills, the thoughts of default, repossession, bankruptcy, and loss of quality of life is enough to make anyone fearful and avoidant. Bankruptcy attorney Joel R. Spivack specializes in working with his New Jersey clients to develop successful debt management strategies and solutions. You don’t have to fight this battle alone. Defaulting on car or house loans has serious consequences because it equates to breaking your loan contract. In the state of New Jersey, the bank or loan provider has a right to repossess your home or car when you are in loan default. Some loans may have a grace period in which you can cure your default, but once the grace period is over, the loan provider can come to your house to collect. Always remember that debt collectors or loan owners can only repossess the property included in the loan. They can’t damage or take other property or threaten you. The repossession process is expensive and time-consuming, so the loan provider will likely be willing to work with you on other options. 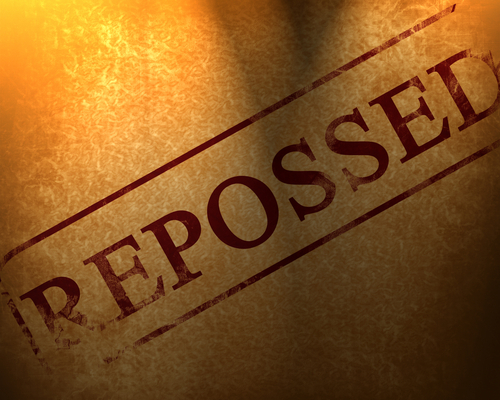 If a repossession is occurring, then you need to know that it’s illegal to interfere with the process. Rather than attempt to avoid the undesirable consequences of missing payments, hire an experienced debt attorney who can work with your lender or help you file for bankruptcy. Joel R. Spivack has 25 years of experience advising clients on debt relief options, bankruptcy filings and alternatives to bankruptcy. As a debt relief attorney, I understand how confusing and scary it is to feel like you are drowning in a sea of debt. Don’t try to fight against creditors or debt collectors alone. Together, we can develop a workable strategy for tackling your debts, preventing repossession when possible, halting wage garnishment and protecting your rights. As your trusted representative, I’m committed to your long-term financial well-being. The law office of Joel R. Spivack can be reached at 856-861-6203 or via our online contact form.